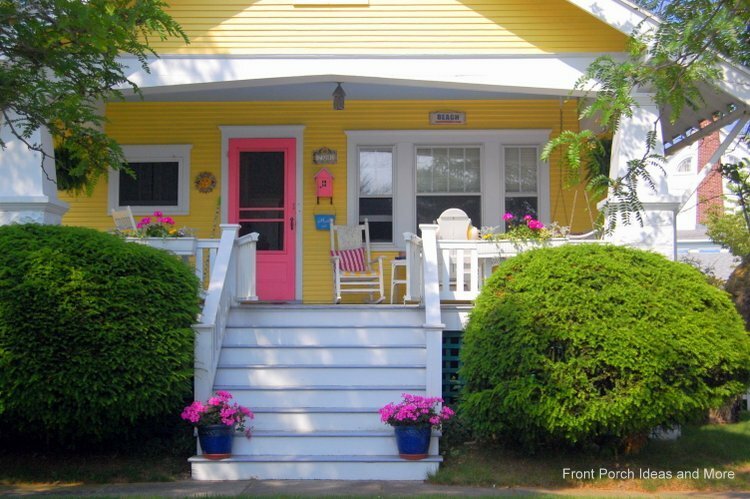 We have some home painting ideas and tips for your porch. 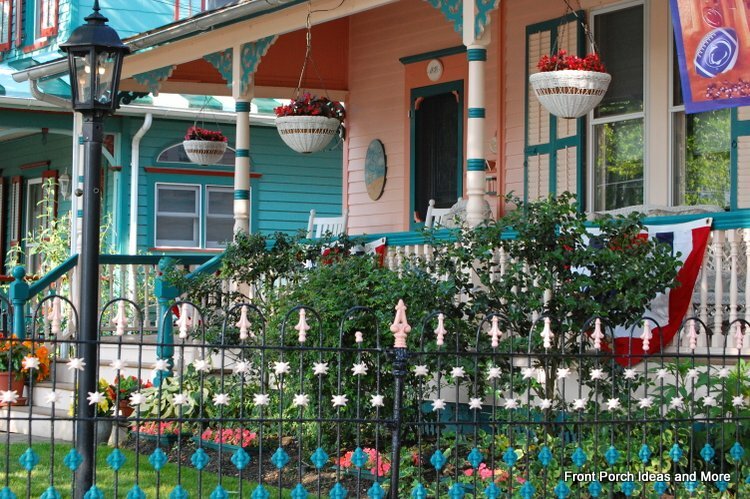 A beautifully painted porch will make you feel proud and satisfied. 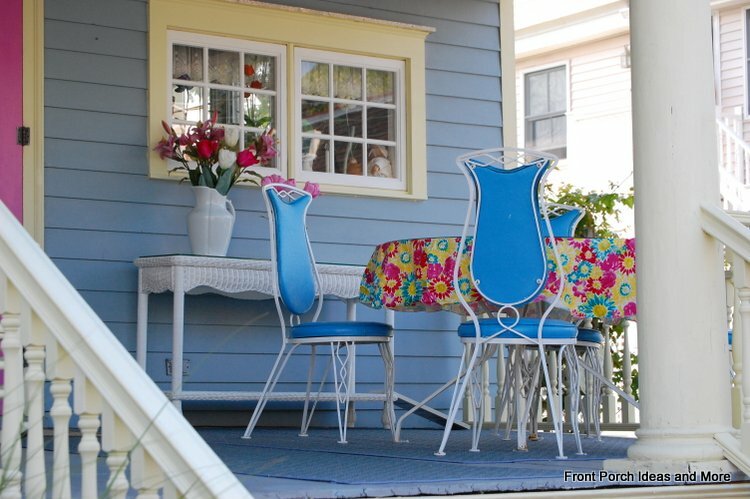 Keep your porch in tip-top shape by painting it. 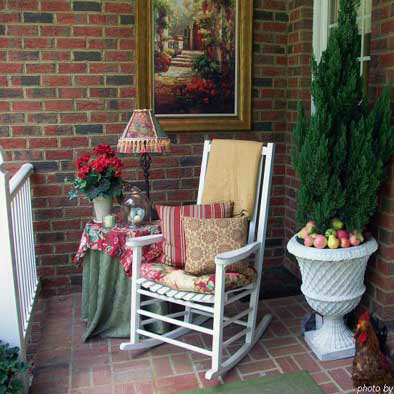 Your front porch is the first thing people see so keep it looking great. We love yellow homes. Do you? Use these home painting ideas and tips for a more enjoyable and successful porch painting experience. Remove oil and grease by sprinkling areas with cat litter or using a special de-greaser first. Then scrub the deck thoroughly with a non-residue cleaning solution like tri-sodium phosphate (TSP) and water. Rinse thoroughly using a garden hose set at "full spray" or a pressure washer. Get rid of mildew, fungus and mold with a solution of one part bleach and four parts water. Before repainting a previously painted deck, sand the glossy surface to make the new coating stick. A concrete deck with a smooth surface must be etched using a 10% muriatic acid solution. Acid etching can also be done on a previously stained or painted deck that has cracked or peeling sections. Use a patching compound to fill in surface cracks before you paint. Allow it to dry. Check for moisture by taping the edges of a two-square-foot sheet of transparent plastic on a concrete deck. Leave it for 2 days. If fluid accumulates, wait until the surface is totally dry before painting. How about a relaxing blue? Choose a color that complements the exterior of your home. Darker shades stand out but a bolder tone like red or orange can provide a truly distinctive accent to a neutral home facade. To keep the look subtle, use light colors which are easy on the eyes and evoke an airy feeling. Lay down color swatches on the porch under natural light to get a feel of their effect. How about a peach and turquoise combination? Use weather-resistant floor paint on wooden or concrete decks. Floor paints are specially formulated to withstand sustained foot traffic and regular washing. Use the best quality paint your budget can afford. A flat finish is better than a glossy one if you want to make the surface less slick during wet weather. To prevent a slick floor, mix a small amount of sand into the paint when coating the floor or steps. Tape the edges where the wall meets the deck to keep the deck paint from getting on the wall. Apply an exterior primer before painting or staining. Wood can be primed with two applications of thinned latex. It is better to apply several thin coats of paint rather than one thick coat. Lap marks can be avoided by applying a coat from a dry area to a wet area. Paint small areas at a time (two-square-foot) instead of doing long, extended strokes. If you want a glossy finish, use urethane paint. Acrylic latex is less glossy but has a non-slip finish and is ideal for a new wooden deck. 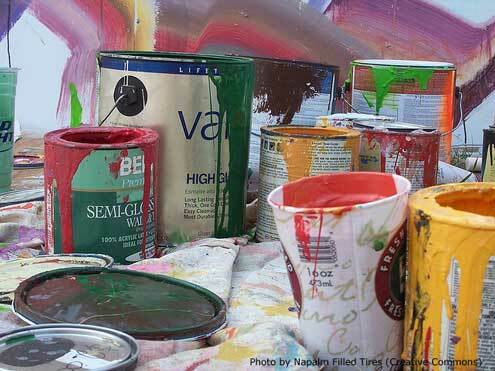 Oil-based epoxy paint is abrasion-resistant and longer lasting. 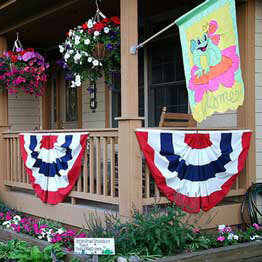 Painting a porch or deck isn't like painting an interior wall, so you need different materials and different methods. And because the area is exposed to weather, it requires a combination of toughness (as in weather-resistant) and aesthetics. Let the color and style of your porch reflect your personal taste, create an inviting entrance, and enhance your home's value. 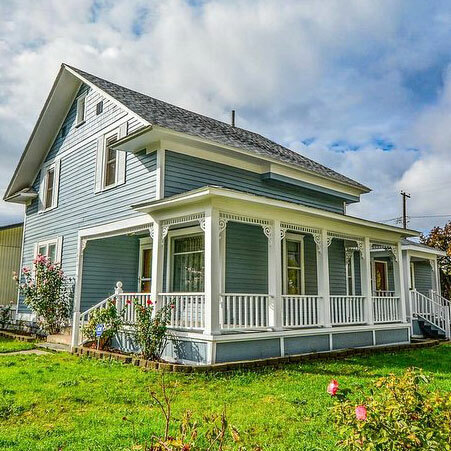 Our sincere thanks to House Painting Tutorials for this helpful and informative article. We hope these home painting ideas and tips help you have a fun and successful porch painting project.